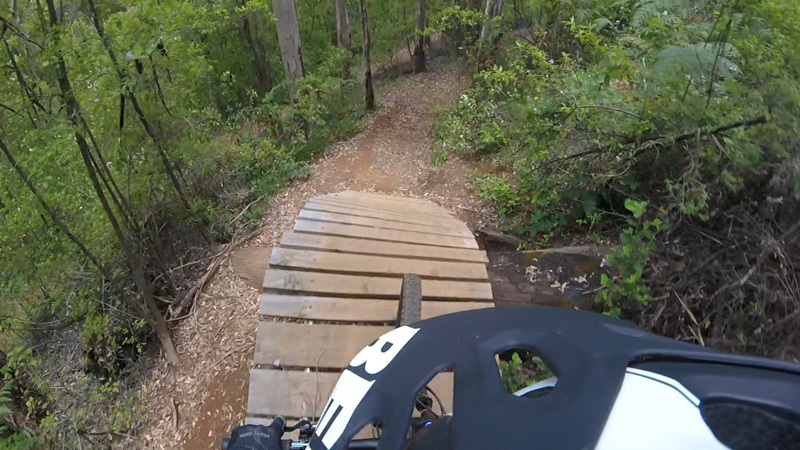 Passing through Pemberton in the southern forests of Western Australia, we couldn’t resist visiting the Pemberton Mountain Bike Park again for a ride on the mountain bikes. We begin with a warm up in the dirt jump section adjacent the car park. Earlier in the year I was a bit hesitant with the jumps but a couple of months practice at the Goat Farm back in Perth and I’m comfortable with the height. The berms maintain speed and I roll over with some air (no more than a ruler though), course on the bike it feels like I’m flying and a superstar! So I’ll go with superstar Lee! We cut across the car park and down alongside the swimming pool fence veering left. 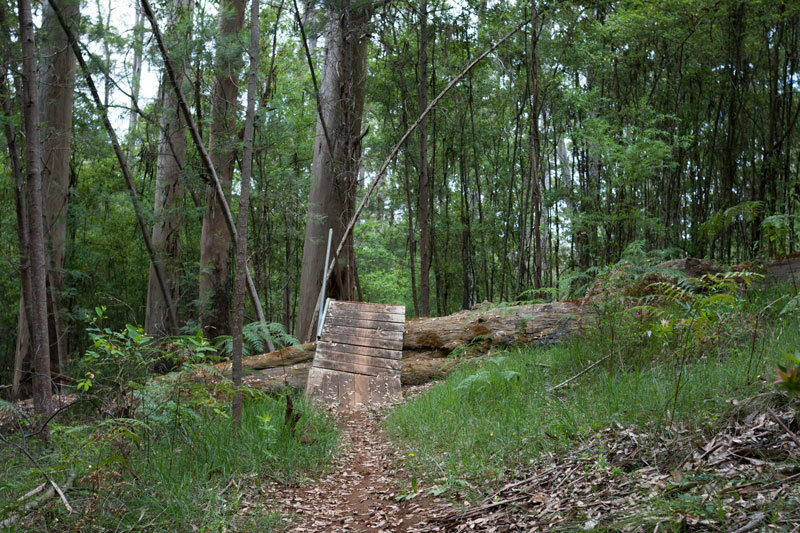 Set in Karri forest and behind a natural swimming pool, this is an exceptional scenic location, not confined to mountain bike riders and certainly not Pemberton’s only stunning landmark. 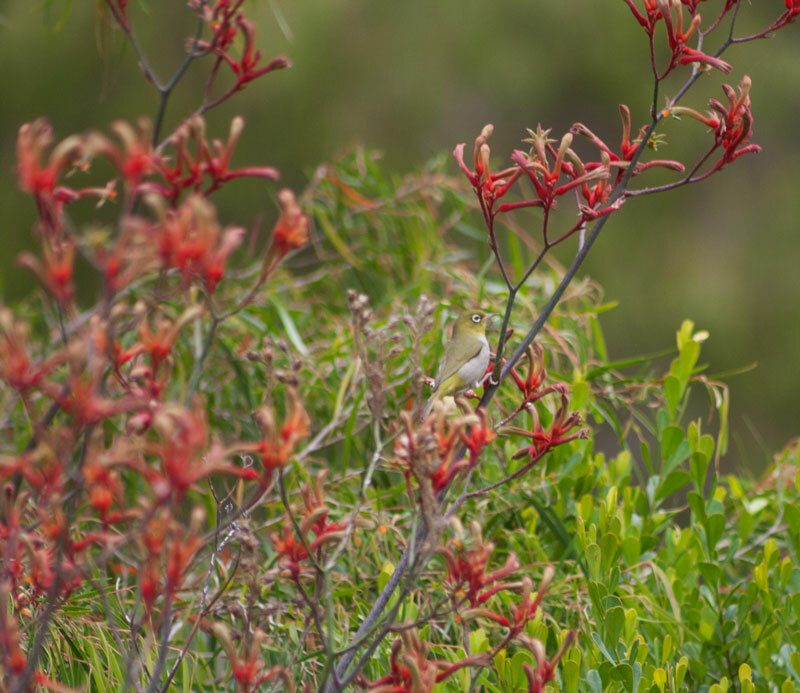 While December, the West Australian landscape generally starts to unravel into shades of Australian brown, the forest in this particular area is green for now. 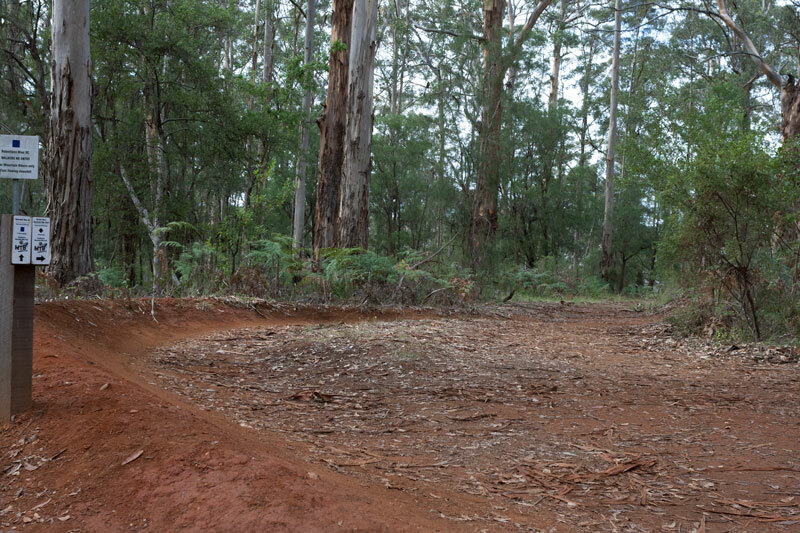 Signs of summer do show where the moisture has dried up on the karri loam ground, giving the bike tyres some grip as we pedal under the cool canopy of the Karri forest. 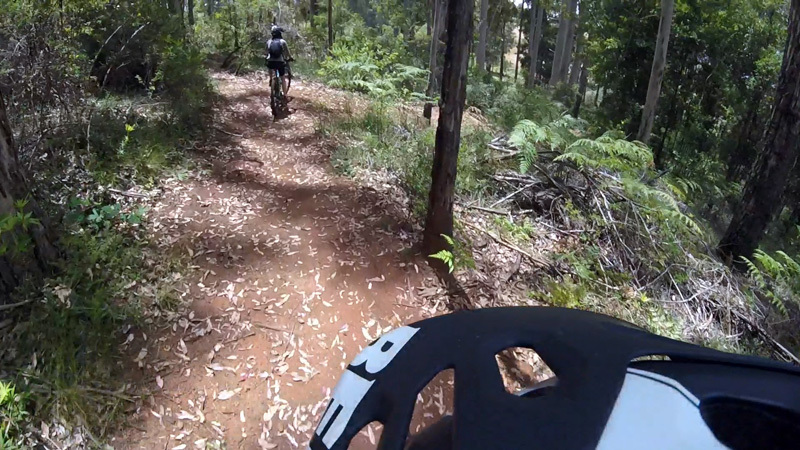 We pedal up the dual use Pinch track and it becomes quite steep in a very short amount of time. 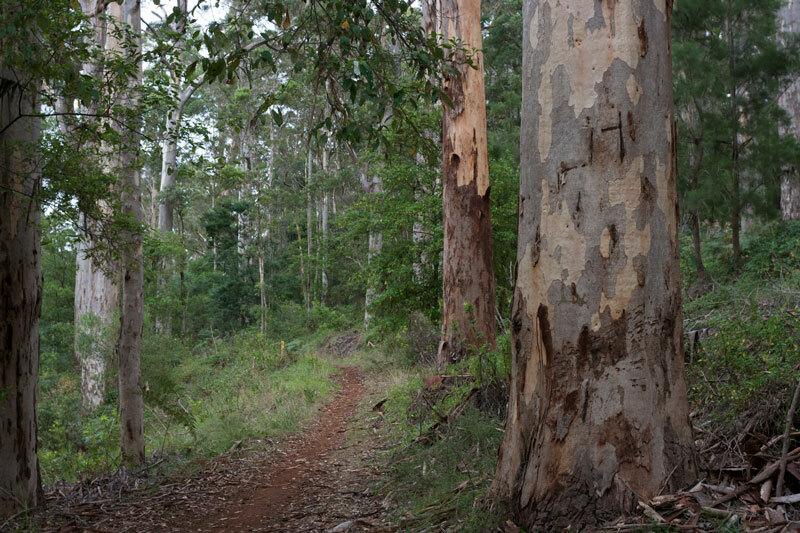 Relentless Blue is the longest of the trails in the MTB park at 5 kms and combines cross country and downhill aspects to the mountain bike ride. By taking Pinch track we skip some sections and roll onto the downhill portion but not before pausing to catch our breath. If we had a little more time we would have completed the entire trail but hey, another excuse to return! It’s been a while and the immediate dive into the fast pace of the downhill catches me out momentarily before I mentally wake up and concentrate on the trail’s technical features. A series of turns along the tight single track with a roll over and a few small drop offs surely makes the ride thrilling. Following the popular wall ride which can be skipped, we remain on Relentless Blue, veering off to Black and Blue. Now, Black and Blue extends the ride length and the exit is positioned closer to the start of our ride. At this point we part ways, Derek heads towards the log roll over pictured below. I feel the blue trail is enough of a challenge and happily veer right bypassing the log roll over. 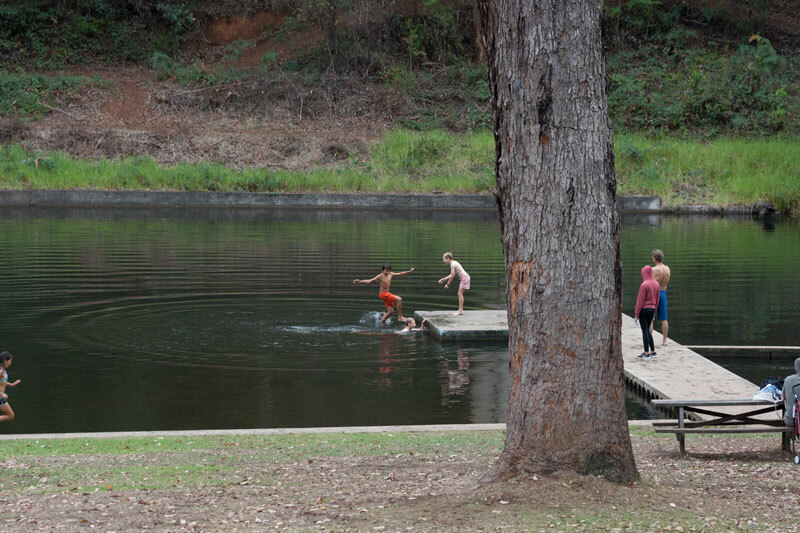 We follow our respective trails and meet again along the Munda Biddi behind the swimming pool. We take the Munda Biddi in a south direction. 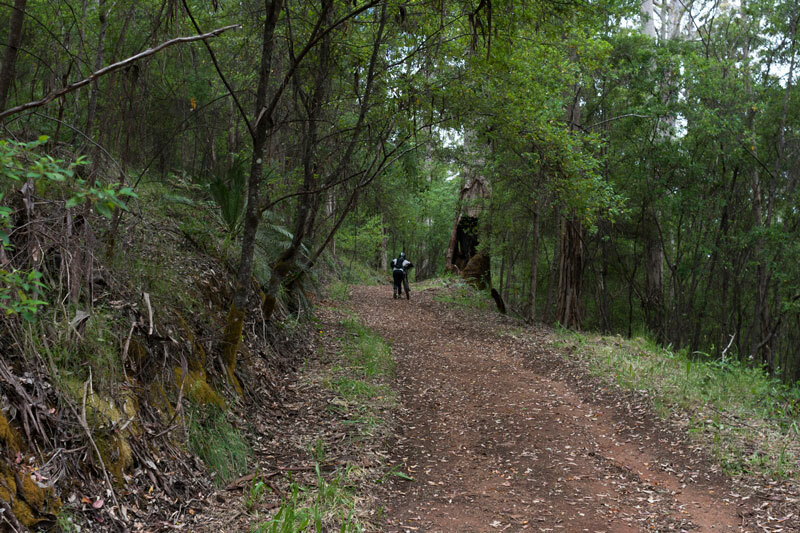 Following snacks and sips of water, we begin round two, except this time we casually walk the bikes up pinch track, we’ve exerted loads of energy into the downhill portion and take our time travelling to the top. Round two, Derek rolls down Bloody Mary, a black intermediate trail with lots of technical and physical challenges, he tells me the log ride is epic and the sharp uphill on a downhill trail is a first he’s experienced. 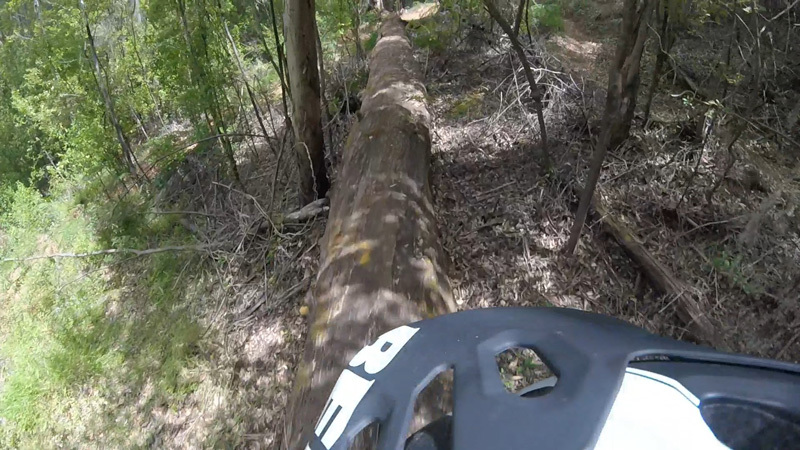 There’s also lots of log roll overs and forks in the trail for other options. The two pictures below show his ride. I take Relentless Blue once again, however after the wall ride I exit onto another blue trail, Cool Runnings and it’s a fun rush of berms and rollers in a series of turns. If you’ve watched the 90’s movie, the name couldn’t be even more appropriate for this trail and its my favourite run of the day. In fact anyone new to the park, I would recommend starting off with a lap of Cool Runnings. Since our last visit the MTB park has expanded to 30 kilometres of trails plus options to ride to Big Brook Dam and Gloucester Tree using a combination of trails and roads. 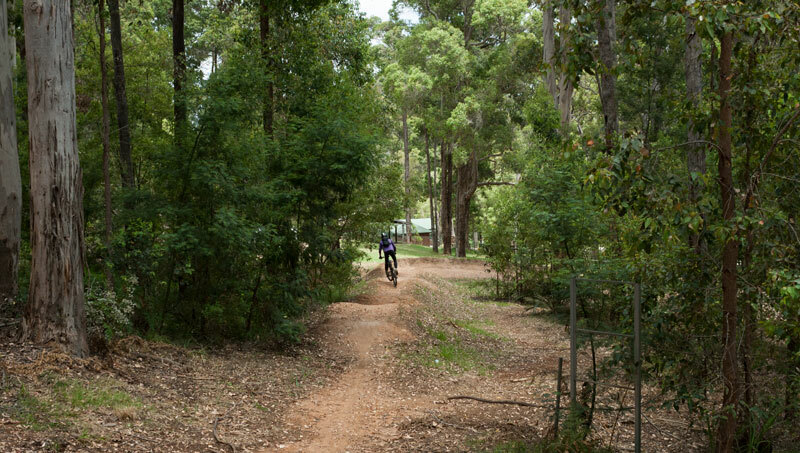 Setting up on the shaded grassed area and spending the day alternating between rides and rest breaks is a far better way to enjoy the MTB Park in our opinion, especially since the Swimming Pool offers some nice facilities and the town centre is a short ride away for drinks and food. Plenty to do for the non mountain biker as well. The skills loop nearby is great for beginners too. I know I may be a bit biased having some family history in this town, however, seriously Pemberton is such a special place and thanks to conservation efforts I promise you this town may turn you into a green forest lover even if you prefer a shiny city landscape. Spend a few nights next door at the caravan place or further a field for a true forest experience.